Home of Howie's Huge Breakfast. Welcome to BJ’s Restaurant, where homemade breakfast is served from 7 a.m. until noon, 7 days a week, all year round. At BJ’s, we take great pride in bringing you delicious, homemade breakfast choices in a family-friendly atmosphere. Whatever the occasion, BJ’s is the best way to start your day! BJ’s offers fast and friendly service, bringing you delicious dishes for breakfast and brunch. 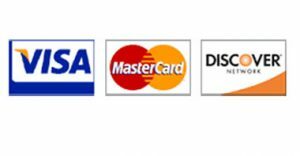 We accept major credit cards. We are open Monday through Sunday, all year long, serving breakfast from 7 a.m.-noon. Let us start your day out right. BJ’s Restaurant, a breakfast favorite of tourists and locals, was named by Rachel Smith, #1 of the top 10 best mom and pop restaurants in Wisconsin. Our family has been serving homemade recipes to customers for 40 years. Visit us today to learn why we are a favorite of locals and tourists alike!